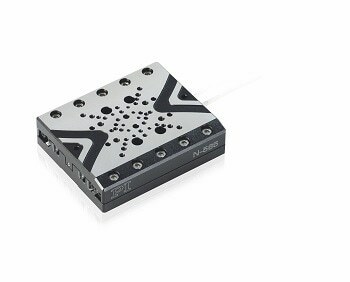 PI (Physik Instrumente) uses piezoelectric stepping drives in the N-565 linear stage series. The drive principle enables repeatability in the range of a few nanometers, high guiding accuracy, and high force in a single compact unit. The linear stages therefore fulfill important positioning requirements, for example, samples, optics or mechanical components in microscopy, in the semiconductor industry, for laser set-ups or applications in a vacuum. The stages have a width of 65 mm, a height of only 20 mm, and work with travel ranges of 13, 26 or 52 mm. Depending on the travel range, the length is 80, 110, and 160 mm. 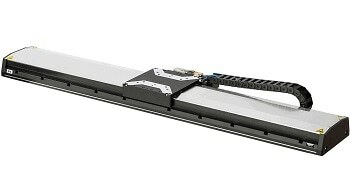 As measuring system for position control, PI uses an internally developed optical linear encoder that is based on an integrated Mach-Zehnder interferometer. This measuring principle enables a resolution of 0.5 nm and a minimum incremental motion of 2 nm. The linear stages can be easily operated with precision with the the compact E-861 controller. It supports the different types of motion of the piezo stepping drive and is tuned to the requirements of the mechanics. Thanks to its network capability, it is possible for one single computer interface to control up to 16 controllers simultaneously. All parameters can be set and checked via software. For start-up and system configuration, the program PIMikroMove is included in the scope of delivery and connection to custom software is possible via LabView drivers and DLLs. Well-known for the high quality of its products, PI (Physik Instrumente) is one of the leading players in the global market for precision positioning technology for many years. PI has been developing and manufacturing standard and OEM products with piezo or motor drives for 40 years. In addition to four locations in Germany, the PI Group is represented internationally by fifteen sales and service subsidiaries.